The Palestinian Center For Human Rights – Press Release: On 28 February 2019, The United Nations Independent Commission of Inquiry on the 2018 protests in the Occupied Palestinian Territory held a press conference in the UN Headquarters in Geneva. During the conference, the Chair and Members of the Commission presented the conclusions and findings of their investigation during the period from 30 March until 31December 2018. 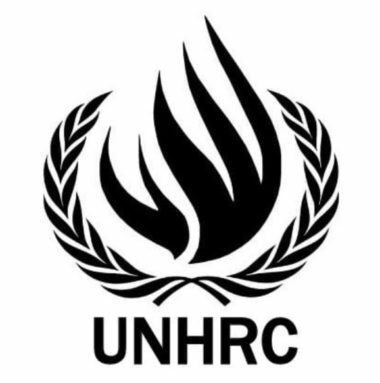 PCHR expresses its satisfaction with what the UN Commission and report presented as it transparently and impartially shows the truth about the violations committed by the Israeli forces against the peaceful demonstrators. The Commission Members emphasized that the activities of the Great March of Return were peaceful in nature, and the applicable legal framework was thus based in international human rights law, being rejected by Israel. The Members also criticized the rules of engagement, which apparently permitted live fire at the “main inciters”, emphasizing this is illegal. The investigation findings also revealed the same as the human rights organizations’ conclusions that the Israeli forces used lethal force against the demonstrators, who did not pose imminent threat to the life of Israeli soldiers nor directly were participating in hostilities, in violation of the international human rights law. In violation of law, the Israeli forces intentionally and directly used lethal force against civilians, including children, women, journalists, health workers, and persons with disabilities. The Israeli snipers targeted them while the demonstrators, at the time, did not pose any threat to the life of the Israeli soldiers nor were they participating in hostilities. The Commission added that these actions may constitute war crimes or crimes against humanity. The report also mentioned denying persons wounded of their treatment outside the Gaza Strip, which has been under blockade for 12 years, rendering the health-care system in a disastrous status. The Commission also called for lifting the inhuman and illegal blockade on Gaza and ensure that all those injured at demonstrations are given permits to travel for medical treatment abroad in addition to developing the medical services in Gaza. The Commission emphasized that the international community should holds its responsibilities relevant to protection of civilians and apply the recommendations of the International Commissions of Inquiry. It should mentioned that On 18 May 2018, the Human Rights Council adopted a resolution (S-28/1) in which it decided to dispatch the commission of inquiry that will present its report and recommendations to the Council at its fortieth session on 18 March 2019 in the UN Headquarters in Geneva. PCHR believes that this report stresses civilians’ right to peaceful assembly and emphasizes the conclusions by all Palestinian, Israeli and international organizations that Israel has deliberately killed Palestinian civilians. PCHR believes that this position of the Commission is a victory for the rule of law against the law of jungle applied by the Israeli forces against the peaceful demonstrators. PCHR adds that this report came to emphasize the human, moral and legal superiority of the Palestinian people over the occupation. Calls upon the UN Human Rights Council to adopt and ratify the report when it is discussed on 18 March at the fortieth session of the Council. Calls upon the High Commissioner for Human Rights to submit the report to the International Criminal Court. Calls upon the Member States of the Human Rights Council to adopt a decision to renew the mandate of the Commission of Inquiry, in the light of the continuation of Return March and the ongoing violations of human rights and international humanitarian law by the Israeli forces during the period following the Committee’s work period.